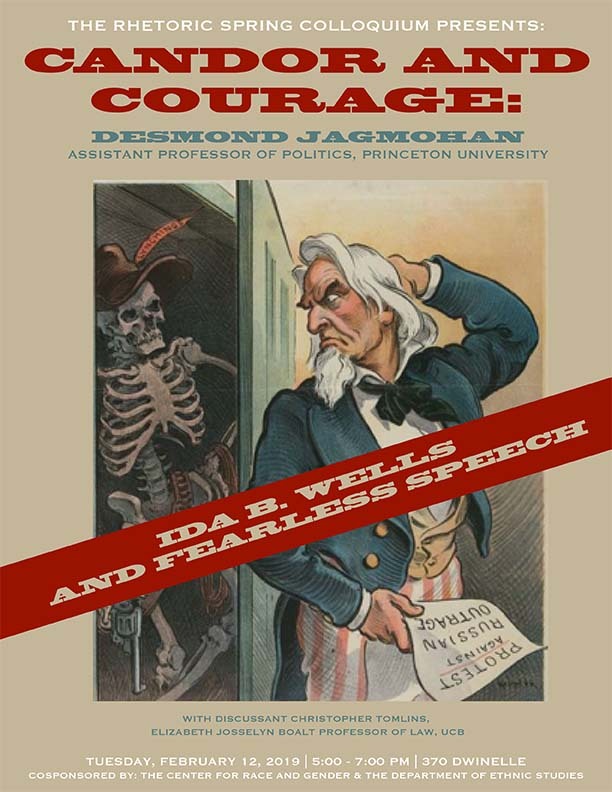 Abstract: This paper explicates Ida B. Wells’s argument that journalists and leaders have a moral obligation to speak fearlessly. To do so, I explicate the normative relationship between candor, courage, and duty underlying Wells’s anti-lynching editorials and reporting during the Progressive Era. I begin with her argument that yellow and impartial journalism are, in different ways, responsible for the precipitous rise in lynchings. Yellow journalism uses sensationalism to fuel whites’ fear and anxiety and, at times, goes so far as to coordinate lynchings. The more fact- driven and impartial journalism of the New York Times does no such thing. But it substitutes cold facts for moral courage and thus shirks an important social responsibility. Second, I contend that her willingness to risk death to expose the true causes of lynching to help others see their way toward justice and away from injustice exemplifies fearless speech, or what the ancients called parrhesia. Third, I question whether intrepid speech can be a moral obligation for journalists and leaders living under extreme persecution.